What makes UniFirst so unique? It’s a good question, and one we love answering. The fact is, you really can be yourself here – so there’s no need to check your personality at the door. UniFirst is a company that’s worked hard to foster a unified, family-like culture where colleagues treat one another as they’d like to be treated themselves, having fun as they work together to achieve great things. But don’t just take our word for it – find out what some of our employees have to say about our unique culture. Join us and be a part of our unique teams. Whatever your skills, talent and experience, UniFirst has got you covered. We have a huge range of unique opportunities waiting for people like you across our business – from outstanding careers in Sales through to unmissable roles in Production, Customer Care and beyond. And whichever team you end up joining, you’ll be working alongside friendly colleagues who share your passion and enthusiasm for success. So explore our career areas, and who knows? 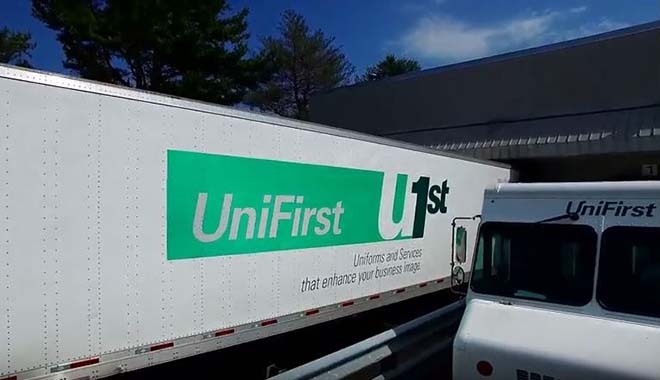 This could be the first step on a unique journey with UniFirst.